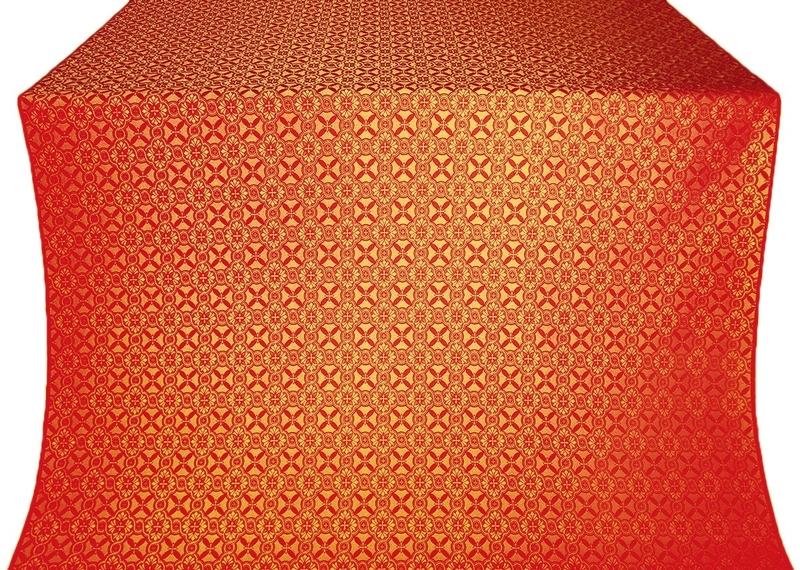 Elets silk (rayon brocade) (red/gold) - Istok Church Supplies Corp. Excellent man-made silk for liturgical vestments, type S2. Width: 59.1'' (150 cm). Repeat size: 1.5''x1.5'' (3.8x3.8 cm). Composition: 60% acetat, 40% poliephir. Dry-cleaning recommended. Price shown is per 1 meter.. I have gotten so many compliments on the Claret vestments. Thank you! I received order #16096 and our Deacons are so very pleased with the beauty of their new vestment sets. Today the riza arrived safely and the workmanship is so beautiful with such attention to detail and is a remarkable fit for an off the shelf, once again thank you. Thank you very much for your good service.